DC Electrical supply domestic electrical services to everyone across Seacroft & Crossgates. With over 18 years of industry experience, our knowledge and skills are unmatched. No matter what electrical service you require, we guarantee you top quality materials, excellent workmanship and a bespoke service. Our reputation precedes us and we pride ourselves on being NICEIC accredited, meaning we work to top health and safety standards. We’re also Part P registered, which means our fully guaranteed electrical work is carried out to the highest professional standards, which are independently verified by the Government Approved body. 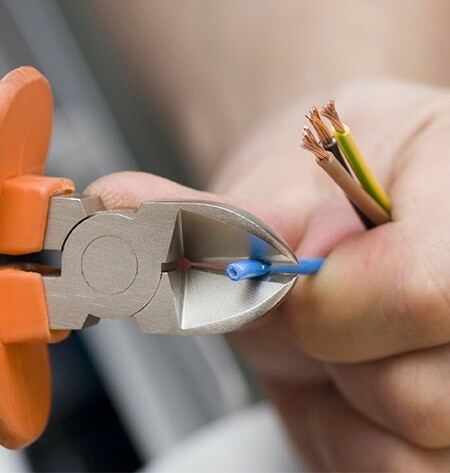 No matter what the size of the electrical job you require, you can be sure that our highly skilled electricians will undertake it safely and skilfully, with as little disruption as possible to you, your family and your home. We offer a free estimate on all work, and will happily visit you at your home to discuss all your electrical needs, giving the best advice on what will suit your property and listen to your exact specifications on what you require. Call our local team of electricians without delay, wherever you are in Seacroft & Crossgates. Get in touch on 0113 370 9015.